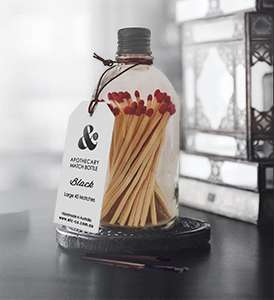 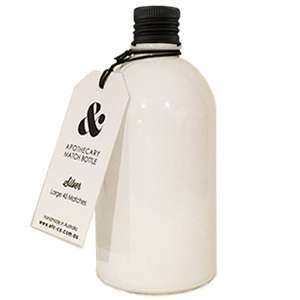 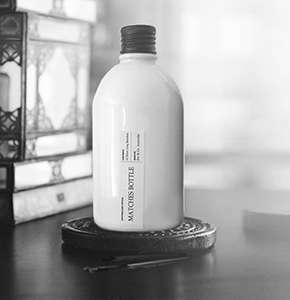 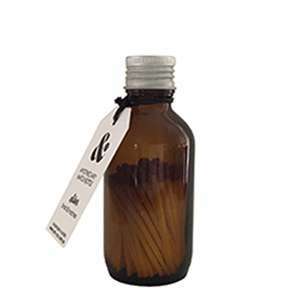 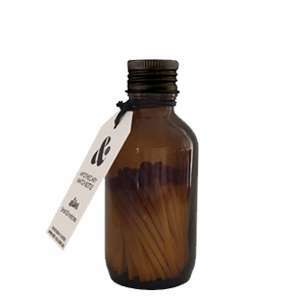 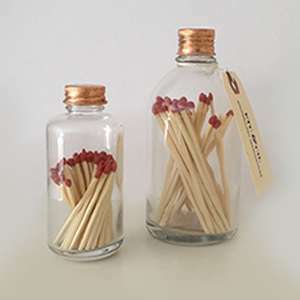 Light your candle in style with our stylish glass matchstick bottle. 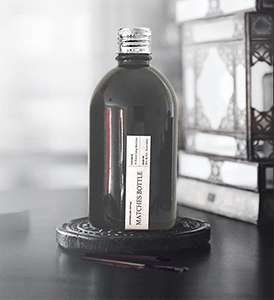 Finished with a hand polished Chromed Silver lid and a convenient striker pad on the base of the bottle for quick and easy lighting. 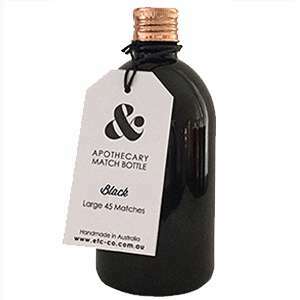 You’ll never be stuck hunting for matches again! 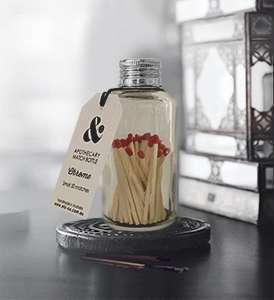 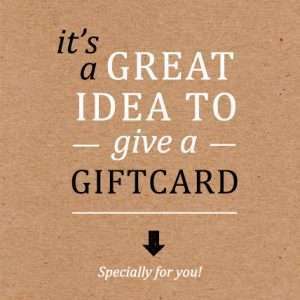 Comes pre-filled with 50mm Standard Safety Matches which is ideal for lighting short candles, gas cook tops and ideal to have around if the power goes out! 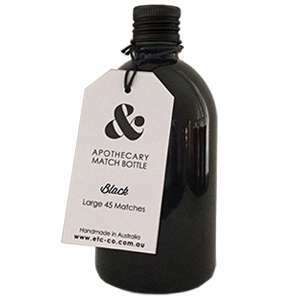 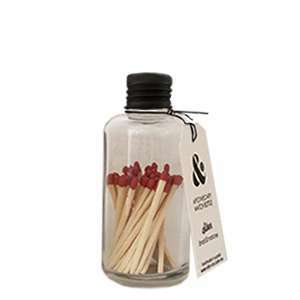 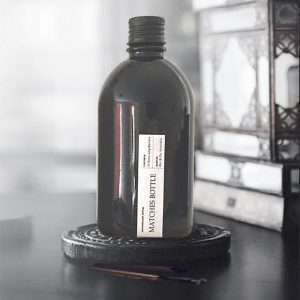 Small Matches Bottle – Chrome Lid. 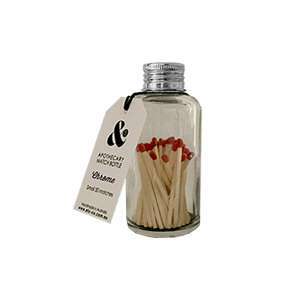 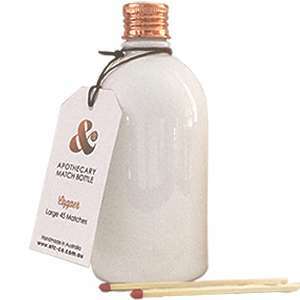 With a nod to the pharmacy era of yesteryear, our cute refillable French apothecary glass matchstick bottle has a high quality hand polished Chromed Silver lid with a durable clear powder coat finish so it will never tarnish. 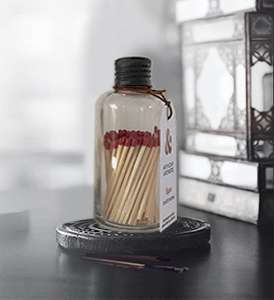 It comes already filled with a box of 50mm safety matches and has a convenient striker pad on the base of the bottle so you can easily light your match, making it the perfect companion to sit next to your candle. 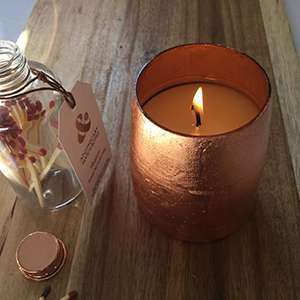 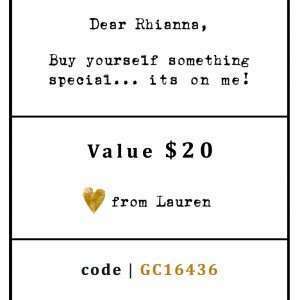 Handmade by us in South Australia. 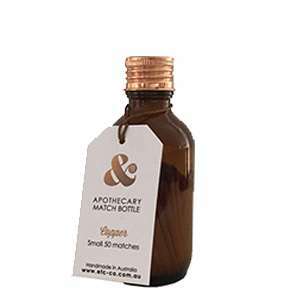 Also available in a large match bottle size (see thumbnail images).